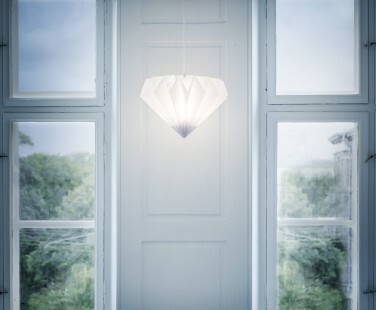 Jewel is the name of this new lamp from Droobski. The lamp is inspired by the facets of the jewel making the precious gemstone sparkle. 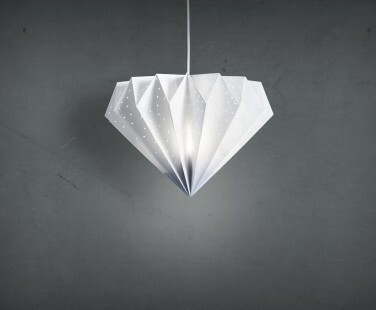 More than 1500 handmade holes makes a sparkling expressions to the diamond-shaped lamp. All lamps are unique, made by the designer on his workbench in Copenhagen. 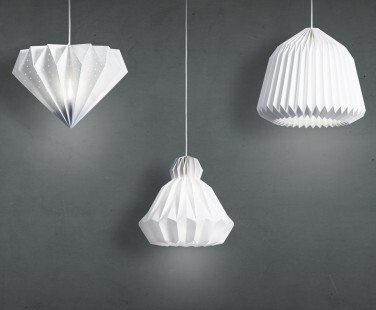 Each hole is carefully placed and each fold creased in the making of this lampshade. It is made of 2.5 meter Tyvek, which is an extremely sturdy material. It can not be torn and is water and heat resistant. In addition, it does not turn yellow and is antistatic not to attract dust. Jewel comes flat packed and assembles with magnets in seconds. Cleaning: Can easily be cleaned with a dust feather, vacuum cleaner a moist cloth. E.g. a 13W LED gives a light similar to 100W old fashioned incandescent bulb.